Description: This fit-and-flare wedding dress features an allover lace bodice atop a tulle skirt edged in horsehair. 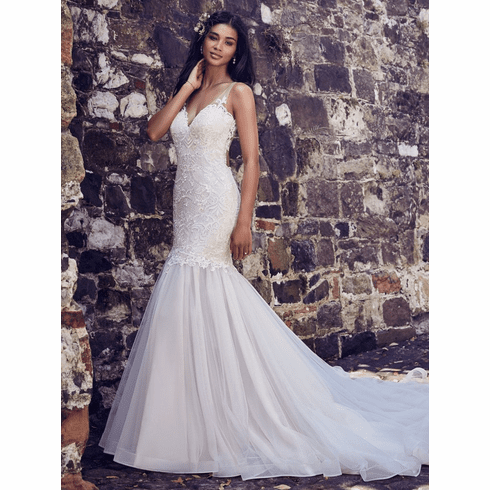 Illusion straps glide from the illusion sweetheart neckline to the illusion keyhole back. Lined with Inessa Jersey for a luxe fit. Finished with covered buttons over zipper closure.